Offering style and storage, our Limited Edition Toy Chest has a large, generous space for organizing toys, games, and books. The flip-top lid has a secure safety hinge to protect kids fingers from getting caught. 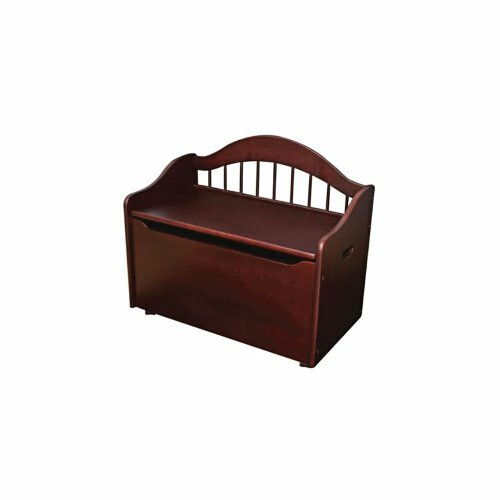 Plus, with a gracefully arched back, the Limited Edition Toy Chest is sturdy enough to double as a bench for extra seating. Appropriate for children 3 to 8 years old. Measures 18.5" x 28.75" x 33"
Convenient storage. Doubles as a bench for extra seating. Flip-top lid has safety hinge to protect young fingers from getting pinched. Available in white, black, natural, cherry, honey and espresso. Made of wood. Sturdy construction. Age Range: 3-8.